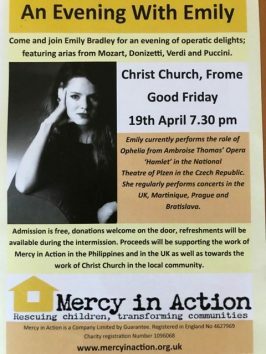 The very talented, Emily Bradley (PPA 2006) is performing a FREE concert in Frome on 19 April. Please go along and support her. All donations will be given to Mercy in Action.